University Park, IL–(ENEWSPF)– Thursday, April 27 marks the tenth consecutive scholarship benefit, Hearts and Scholars, where generous donors, businesses, and the Governors State University Foundation unite to raise funds for student scholarships. This year’s Hearts and Scholars Dinner will be hosted by NBC5’s Lisa Parker on April 27 from 6 to 9 p.m. at GSU’s Center for Performing Arts. Proceeds from the evening will be dedicated to keeping the dream alive for students by increasing available scholarship funds and support academics and arts. Funds from the Hearts and Scholars event enable the university to fulfill its mission of offering quality and accessible education to all students, regardless of their financial circumstances. Through the engagement of strategic partners and individual contributors, the GSU Foundation has awarded over $600,000 in scholarships over the past five years and provides other vital services to the university. This inspiring event will be held on the stage at Governors State University’s Center for Performing Arts and will include a silent auction, cash bar, and live entertainment by Legacy Jazz Band, a student band led by GSU Student Senate President Justin Smith. The GSU Foundation also will present its Distinguished Philanthropist Awards in recognition of individuals, organizations, and corporate partners who inspire and embody excellence at Governors State University. This is an on-stage event. Limited tickets remain for individuals interested in participating. Tickets are $50 per person. To purchase, please call 708.534.7892, or visit us online. 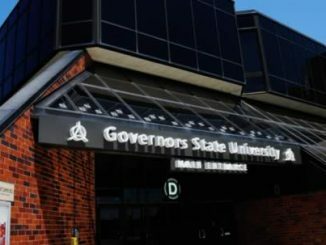 Governors State University serves approximately 6000 undergraduate and graduate students with degree and certificate programs that prepare them for success in business, industry, healthcare, the arts, and education. As a state university, GSU is committed to providing high-quality, accessible, and responsible higher education opportunities. GSU is located 30 miles south of Chicago in University Park, IL and offers the most affordable undergraduate tuition and fees in the Chicagoland area. GSU is committed to embracing diversity and academic excellence. Reclaim the Prairie at GSU!